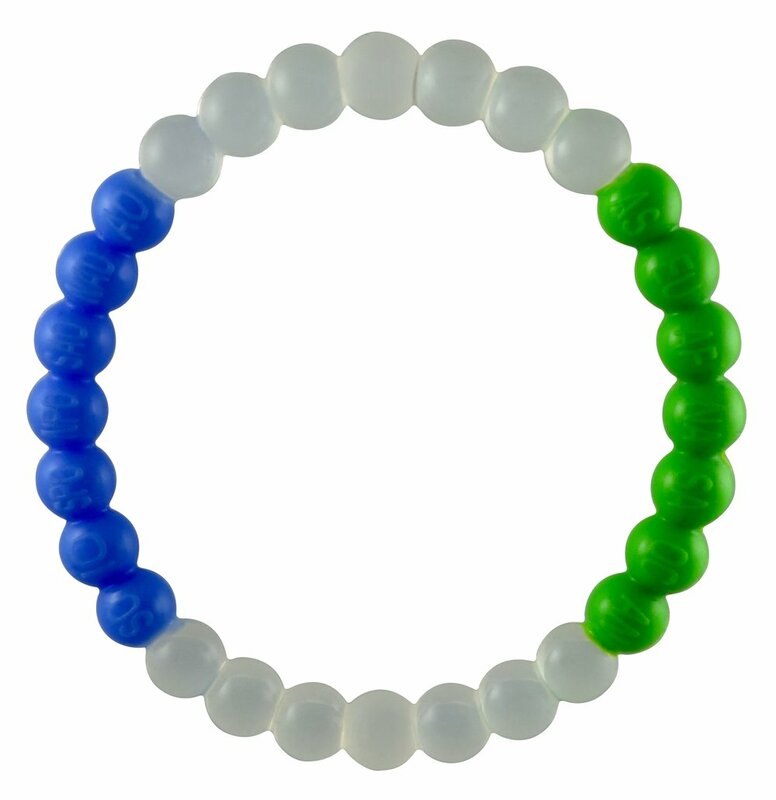 The blue beads contain seawater from the 7 seas and the green beads contain soil from the 7 continents. The soil and seawater samples are collected by our Global Ambassadors located around the world and shipped to our production facility where we use 100% recycled silicone to create the bracelets. The One World Bracelet serves as a reminder in today's divisive climate that we all share far more in common with each other than we realize and we should never let our differences define us.